Prior to working at Arc Broward in April 2016, I knew about Arc Culinary. 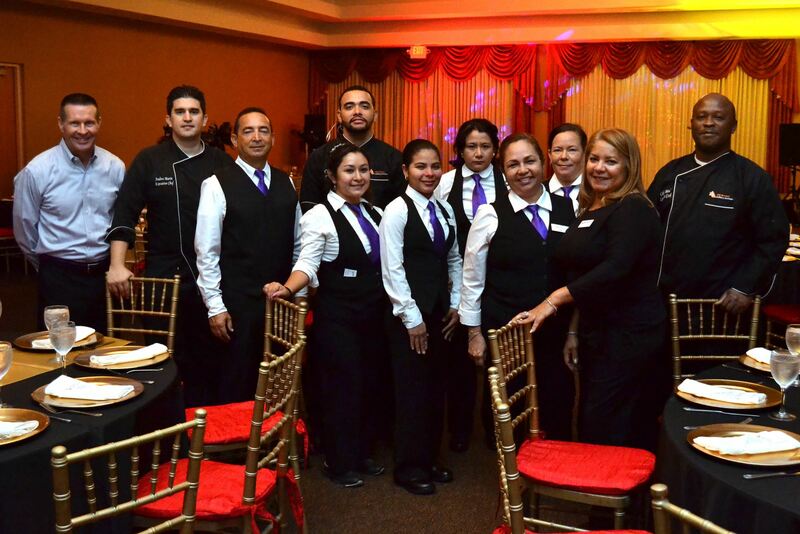 I had experienced the excellent catering services and attended a few events at The Grand Ballroom in the City of Sunrise Civic Center. However, I didn’t fully grasp the mission-based side of the story until I became an employee. And it’s definitely worth sharing with the greater community. Arc Culinary is one of three mission-based enterprises that supports Arc Broward’s mission of transforming the community by providing opportunities for people with disabilities and other life challenges to reach their full potential. I n this case, funds raised from catering support Arc Broward’s numerous services. Arc Culinary provides top-quality, competitively priced catering for a variety of special occasions, including weddings, cocktail parties, business lunches/conferences/celebrations, bar/bat mitzvahs and more. The service is incredible, and the menu options offer the freshest ingredients and are some of the most sought after meals in town. Our Chefs are highly trained. Executive Chef Andres Marin is a Johnson & Wales University Culinary Arts graduate. Sous Chef Juan Peralta graduated from Le Cordon Bleu. The entire Arc Broward Culinary Institute team is dedicated to making sure your overall experience is positively memorable. “I want to take a minute to thank you and your staff for creating a wonderful night for our most recent graduate students. The venue is wonderful and inviting, but your staff is what makes it for us. They are so accommodating and friendly. We look forward to using you again in July.” – Dennis Garberg, Campus Administrator, Jersey College (in Fort Lauderdale). Arc Culinary is a hands-on training site for our Entry Level Culinary Arts Certificate students to learn and hone new skills necessary for employment in a professional kitchen. Since I began working at Arc Broward, it’s been an honor getting to know the students, sharing their stories and progress on social media, watching them graduate from the program and tasting their delicious food. The students have had the opportunity to participate in Arc Broward’s Annual Delish, which pairs them up with some of South Florida’s top chefs to showcase their skills. Each has his/her own Student Chef Luncheon, an intimate lunch prepared and served by the students for Arc Broward staff and family members. One of the best recently featured students Giovanni and Shakira with their Caprese Salad, Chicken Parmesan and a homemade Cannoli. Upon conclusion of the 15-week program, the students are ready for graduation and take the next giant leap of finding employment or continuing their education. Overall, I am impressed by the services and the relationships between our student chefs and dedicated staff. For more information about the Arc Culinary or The Grand Ballroom, visit www.arcbrowardculinary.com, call (954) 578-3145 or email gsnow@arcbroward.com. Also be sure to Find Us on The Knot.